For a natural and unspoiled beach head south of Adelaide to Port Willunga. Golden white, soft sand that meets cool, blue sea lapping gently against the shore. A stretch of beach somewhat hidden away from the crowds is popular with families in summer. However, the beach is not the only drawcard. Perched on top of the hill is the Star of Greece restaurant, its name from the grain ship that tragically ran aground 200 metres off the coast. It was 1888, the year of the worst storm in South Australia’s short history. A small grain ship ran aground just off the coast creating the State’s worst maritime disaster. Its name was the Star of Greece and it was built in Belfast from 1868. It was a three-masted, 1257 ton iron steel ship en-route from Great Britain carrying about 16000 bags of wheat when it met its fateful end 200 metres off shore. A fierce storm of the coast of Port Willunga captured the ship and tossed it onto the rocks at 2am on a superstitious Friday 13 July in 1888. A rescue effort was dispatched but due to poor roads and transport, the team did not get to Port Willunga till late afternoon and by then the 18 men on board had been killed. Don’t forget to check out the plaque by the restaurant. Dedicated to the Star of Greece grain ship, look out at the sea when the wind is blowing and you can imagine the sailors calling out. The shipwreck is still a relatively hidden gem from tourists with the area being popular with divers and snorkelers. At low tide look north of the old jetty and you may catch a glimpse of what remains of the boat jutting out of the water. If you are adventurous you can join a diving tour and get a unique perspective on South Australia’s maritime history. Check out view from this video posted by diving company Diving Adelaide. Port Willunga on a good day is a beautifully calm place to relax on a hot summer day. Yet when the weather turns grey, wild winds whip enormous waves angrily against the shore. Take a walk along the sand to the remains of the old jetty that was destroyed by the powerful sea in 1918. You can only see a few poles left in place and are now beach entertainment for children to play on. Just behind the old jetty you will also notice caves dug into the cliffs. These were man-made by fisherman who stored their boats to protect them from the fierce weather elements. Today the caves are empty but remain to symbolise an important part of SA’s maritime history. So if you are looking for a serene, peaceful stretch of and this summer why not head south of the city. You may find your own piece of paradise as many of the best beaches tend to be discovered by accidents. 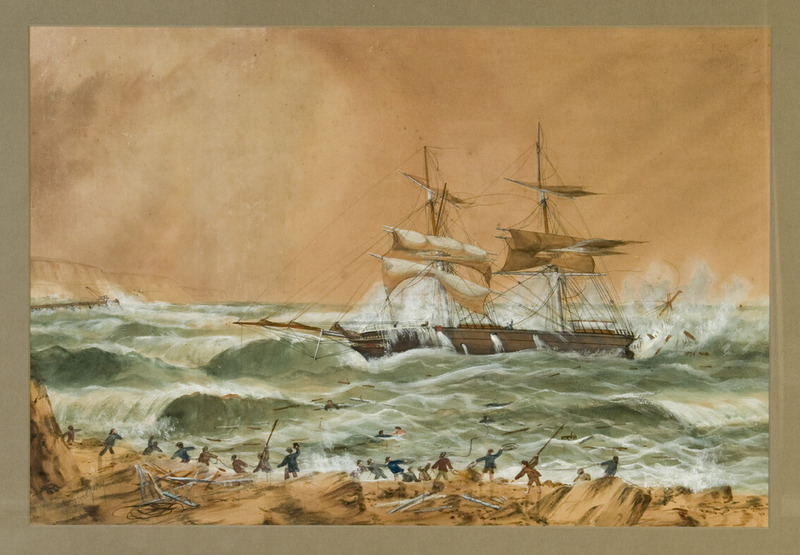 Photo credit: SA Maritime Museum – Watercolour painting of the wreck of the Star of Greece at Port Willunga, 1888, by George F. Gregory, Jr. shows just how ferocious the waves were on that fateful voyage. Previous PostPrevious Why Packing Light Makes Good Travel Sense?